Since 2000, we have taken care of naming projects in the most diverse fields. Our philosophy is not 'one size fits all'. Our clients expect tailor-made precision, and this is what they get. Therefore, every project is conceived and implemented truly individually. Some exemplary projects illustrate this attitude. The following five select projects show the bandwidth of jobs and the individuality of their related naming solutions: National and international projects, creation and consulting, B2B and B2C. Two of them, Bosch Ixo and Toyota Aygo, originate from Werner Brandl's time as a project manager at Nomen in Duesseldorf. The largest manufacturer of chewing gum introduced the new brand 5 GUM into the markets in 2009. This brand excels by its strikingly long lasting, thrilling flavor, a totally new packaging concept, and an idiosyncratic brand appearance. The flavor (or subbrand) names had been chosen accordingly: Electro (a tingling spearmint), Pulse (a crisp tropical), or Cobalt (a cooling peppermint). 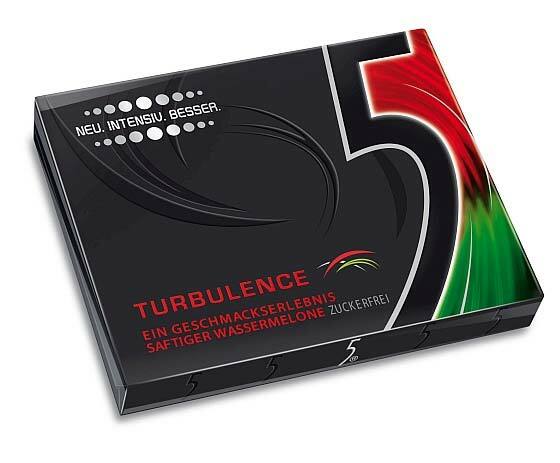 By extending the 5 GUM range, Wrigley’s launched a new refreshingly-fruity product in many European countries in 2010 with the flavor "red berries". It bore the name "Flood" - created by me. The next year, it was my job to find a name for the new flavor "watermelon". It had to fit exactly into the existing name system, and at the same time it had to refer to the distinctive characteristics of this particular variant. The name had to be an existing English noun and it had to be easily comprehensible and applicable in most European countries. As if this were not enough, it also had to appear mysterious. The result of a complex creative process and extensive linguistic and legal checks was the brand name TURBULENCE. A complex name with a plethora of points of contact to communicate the name - and to address the consumers' emotions. Black forest based Testo AG with more than 2,200 employees worldwide is a market leader for metrological devices and solutions for diverse industries and applications. Due to the growing documentation requirements in commerce, trade and industry, a new data-monitoring system was developed. Hitherto data such as temperature and humidity levels had to be recorded and documented by hand. This burden was to be eliminated. The new measuring system for manifold industries enables these tasks to be performed comfortably and safely from a central computer. It is characterized by its ease of installation and use, and it permits significant workload and time savings for users e.g in storage, production or facility management. In order to market this outstanding new data acquisition system worldwide, it was decided that, unlike all other Testo products, it should receive a trade name of its own. It was my job to find an artificial name with a technological aura: SAVERIS was selected and deemed perfect. SAVERIS has clearly identifiable Latin roots, through which it expresses the product focus: precision, security, reliability and efficiency. At the same time it is in perfect harmony with the sender brand Testo and can be communicated worldwide. To reach out to new customers and markets, Bosch Power Tools introduced a truly new range of non-pro tools: with a different packaging, different size, different marketing, and, very different names. 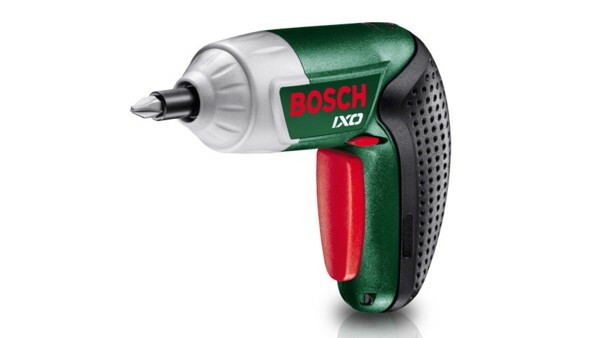 The first product in that range was a small battery-powered screwdriver, the first one with a lithium battery. Plus a revolutionary design and fantastic ergonomics. And name. The solution was Ixo. A perfect name for a handy driver, focusing on the features "tiny" and "nimble". It epitomises lightness and smallness while at the same time expressing strong technical competence. The name is short and sweet, with a friendly tone, and yet truly unique. Its charming sound represents the ever present little helper. It is applied all around the world, and so far, more than 8 million of these great little machines have been sold. and seats for 4 wheels. Recaro, known for its car seats, also manufactures car child seats and baby carriages according to the "Made in Germany" quality standard in its Recaro CS division. The very high-quality products have traditionally been named very auto-related. In order to get closer to the life of parents and to support the positioning of the brand, a change of name strategy was decided upon. Therefore, for the product portfolios of children's and baby carriages, each containing several products, new product brand names should be developed with more lifestyle and emotional orientation. A huge variety of alternative name systems were created, and finally the decision for the two best-fitting was made - one for children's seats and one for children's carriages - and a selection of alternative names was selected. The first products to be released within these new name systems were the Privia booster seat and the Optiafix baby seat (with Isofix) as well as the two strollers and buggies Citylife and Easylife. Think of a name like inheritance insurance ("Erbversicherung"), which is neither precise nor attractive. Versicherungskammer Bayern, one of Germany's largest insurance companies, therefore searched for an attractive, descriptive name to designate and advertise their new life insurance for heirs and inheritors. To make the project a little more challenging, the name also had to be available as a .de domain. The product itself is a kind of life insurance which enables the passing on of taxfree accumulated proceeds from once deposited capital. However, flexibility rules. As long as you're alive you can take out money from the account or also ramp it up. Once you are dead, the beneficiaries receive the tax free death benefits immediately. Thus, this smart product helps save taxes, while it keeps real estate or corporate property in the family by preventing hasty sales. Quarrels among heirs and coheirs are avoided, compensation payments to fellow heirs can be afforded. And you can still access your assets. This is what marks the product off from those of the competitors. 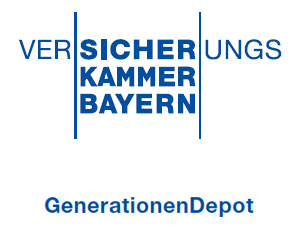 My solution was the name "GenerationenDepot" (generations' depot). It clearly relates the target group - Germany's prominent generation of baby-boomers - in a positive way to the topics "inheritance" and "long-term provision". And even better, it simultaneously transmits the promising concept of an efficient and solid investment - without being unpleasantly euphemistic. Descriptors / sub-brands / category markers etc. Develop a new self-description which merges inside and outside perspective, and corresponds to today's and future self-image: WebEngineers. Develop a striking name with international appeal for an innovative ski model with nano technology. The name is an entirely new construction and incorporates the revolutionary product character. Izor conveys dynamics as well as a superior performance. Review multiple names for a new car rental service by Audi. From testing for international applicability, adequacy and associations in a variety of markets and languages, Audi on demand turned out as the clear favorite. Scrutiny of various potential line names for cooking equipment as well as design of alternative name systems. Workshop involving presentation of results and communal decision on the future line names strategy. To further optimize their revolutionary downdraft systems, BORA designed a proprietary canal system which excels by an ultimate degree of efficiency. BORA Ecotube comprises of all tubes up to their own, innovative wall outlet. As a supplement to the existing cooktop with integrated extractor - BORA Basic - a new product line BORA Pure was introduced. It is characterized by very focused design and reduction to the essentials. Analysis of existing alternative names as well as creation of additional titles for a giant new legal comment on the BGB of Germany's largest publisher for legal literature and relevant databases. Analysis of the current and future name strategy for the entire product portfolio. Discussion with the management team in Waldshut-Tiengen and definition of the future name strategy within a workshop. Develop a name for a new smartphone app of DZ BANK with all relevant domains available. The Kartenregie app helps to survey one's debit card transacions and payments. At the same time, it enables the user to keep an eye on the state of their personal finances. These rustic nibbles are the perfect alternative to chips and flips. Healthy and tasty, conventional and organic, four truly natural flavors. Lucidly positioned by the name Hütts with the imagery rich world of hiking and delightful eating breaks. Design a name for an electronic payment function to be used on smart cards. The contactless functionality of girogo is explained by its elements "giro" and "go", which stand for banking applications and velocity. In addition, the name perfectly fits with the brand name "girocard". A new branded product category of EURO Kartensysteme, Frankfurt. The Secoder seal is only licensed to card readers fulfilling rigid security requirements. It focuses the essential concepts "security" and "code", and its similarity with "decoder" enhances acceptance and understanding. The magazine "Frau + Mutter" (woman and mother) is the monthly periodical of kfd (catholic women of Germany). We evaluated an earlier renaming process, analyzed the brand and its values, elaborated a new title concept, created a new subtitle, and devised fitting marketing measures. Workshop with employees of Frequentis in Vienna and the Deutsche Flugsicherung / DFA in Langen. Together, the positioning of a new joint venture for remote tower services was reviewed and the name Aerosense was developed. Workshop at the Austrian world market leader for airport communications in Vienna. Together with the employees, the repositioning of the business area ATM Networks was defined and the name Vitalsphere was developed for all related products. New conception of the brand portfolio of GORE-TEX and development of various alternative brand architectures. Revision of the naming system of all product names, resulting in both reduction and increased focus. Creation of the name for an ERP system in the cloud for real estate management by Haufe Gruppe and FIO SYSTEMS AG. The artificial name Axera claims a unique position in the market environment. It radiates agility as well as the software's focal position in the office workflow. Portfolio and competition analysis as well as a brand workshop for IVU AG in Berlin. Based on a review of all current and future software and hardware, a liberal, but still consistent name strategy and fitting names were developed and implemented. JULABO is a leading manufacturer of tempering units with ultra high precision regulation technology. Their products are intended for science, research and industries like pharma and food. For global distribution, we developed the names Corio and Dyneo to designate new thermostates for routine and advanced analyses. In 2014, for a new line of truck disc brakes, a name was sought. The new model sported a perfect synergetic interaction resulting from many improvements in construction details. This should be reflected in the name, and as a result, later on SYNACT was launched. Naming of the friction division plus definition of the name system for a product portfolio, which got enlarged through acquisitions. Knorr-Bremse, the world market leader for brake systems, will bundle its brake pads and brake pads in the new Friction Technologies unit, the single products are categorized in families. Development of an attractive and accessible name to enable the marketing of the German children's classic "Knabber-Esspapier" of W.u.H. Küchle GmbH & Co. KG, Günzburg, on an international scale. The solution, Sweet Sheets, excels by its smart combination of simplicity with attractiveness. Development of the globally applicable brand name Avanto for an umbrella concept offering specific services for the food sector. The service was introduced step by step on a global scale from 2006 on, starting in Northern Europe. Meravis, a large Hanover based real estate company, had a department called "social management". However, to the tenants, that term was not accessible at all. Therefore, a new name was sought - appealing to the target group, and with a positive expression of the activity. The solution? Soziale Mieterhilfe = communal tenant assistance. Simple, but right. Definition of a fitting strategy for the name of a new service by Mercateo AG. Accordingly, the most appropriate and evocation-strong name adjunct Unite was elaborated and selected. Design a name for a newly formed company in the field of renewable energies. The brand name Woodox is powerful and can be employed on an international scale. It hints at the raw material wood and the core product wooden pellets for heating and the generation of electricity. Innovative designator, easily understandable and available as a .de domain, for a new category of medical group practices in the Munich metro area. The name CoMedicum represents its extended version with integrated therapists. Company name for a Tegernsee based group of medical clinics, group praxis centers, and educational institutes including the .de domain. The name Ideamed is easy to understand and attractive, yet open to new business developments in the medical field. Creation of a name system for child seats and strollers inclusive of baby carriers as well as corresponding product brand names for segmented product portfolios. After designing various systems, Privia and Optia were selected for child and baby car seats, Citylife and Easylife for strollers. Name system for Coriolis flowmeters in various designs and for various applications to be applied on a global scale. Segmueller is a furniture distributor in Friedberg/Augsburg. We developed a product line brand for them. The brand Sedona stands for upholstery excelling by their fine seating comfort, their exclusive and classic design as well as their ideal combination of design and function. The product portfolio of Sick can be divided into three clusters, for which marking terms were required. The target groups adressed, were Sick's own employees, particularly in sales, as well as users from a wide mix of industries. For them, we developed a system of three terms - Pro, Prime, and Core. 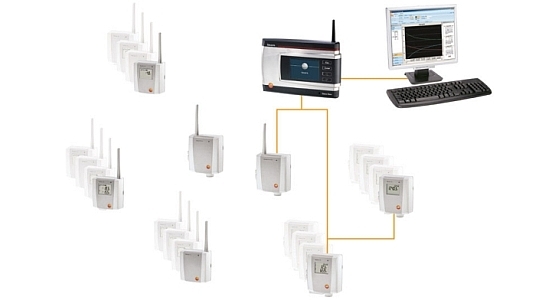 Product brand for a new data acquisition system of Testo AG. Saveris has a technical feel, is in perfect harmony with its sender brand Testo, and radiates reliability, efficiency and precision. In addition, the name integrates the topics "knowledge" and "competence". Develop an attractive and easily understandable name for a tax-optimized retirement provision of one of Germany's largest insurance companies. The new name exactly expresses the product's core quality: to pass capital on to heirs and heiresses in a very cost efficient way. Develop an attractive and immediately conceivable name for a feature of classic risk insurances. The new German term Leistung zu Lebzeiten - meaning receiving money while still alive, replaces less positive terms expressing that you receive money before being dead. Develop a strong and self-explanatory name for an occupational disablement insurance that with job starters and students. The name clearly states the introductory character of the tariff and also its core benefit. Related internet domains also were required to be available. Consulting concerning the naming of existing as well as future business fields. We created various naming systems and held workshops to find the best fitting name systematics for WMF. Also, the new name for the business field WMF Consumer Electric was selected. Find a name for a new European flavor of gum to be sold under the brand 5 GUM by Wrigley. The compact name Flood for a red berry flavor fits perfectly into the existing name structure. It also features strong imagery and rich associations. Finding a name for a new flavor under the brand 5 GUM by Wrigley. The name Turbulence for watermelon perfectly fits into the existing name structure. It features strong imagery and rich associations of this popular summer fruit variant. Simply call or drop me a note.